What is a young and fast growing startup community without a startup accelerator? Many talented individuals are embracing the entrepreneurship culture and are starting their own startups and businesses. However on the road to building their startups they often bump into many obstacles such as a lack of knowledge, mentorship, training, funding and in some cases co-working spaces. This is where accelerators come in. Accelerators provide the key components a startup needs in order to scale in its early stages. 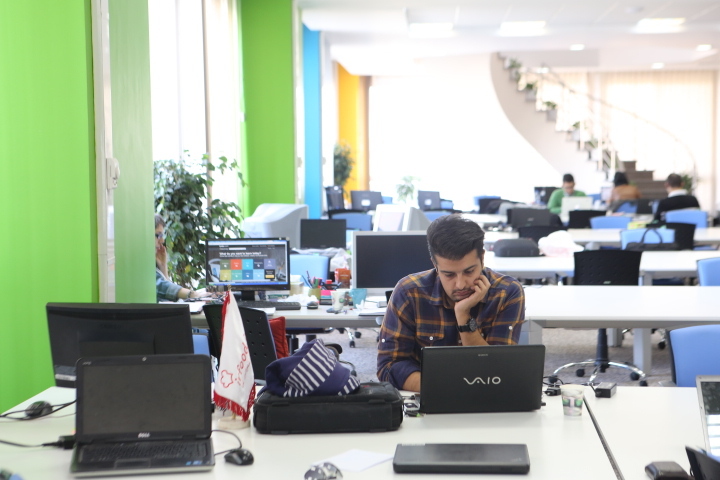 Avatech, an Iranian Startup Accelerator provides office spaces, local & international mentors and seed funding for startups that are in an early stage. 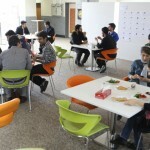 Founded by Mohsen Malayeri, Avatech started accepting applications from over 100 teams, from which 20 teams were chosen for the pre-acceleration program. Sara Usinger moved to Tehran from Cologne, Germany to take the position of Program Manager at Avatech. 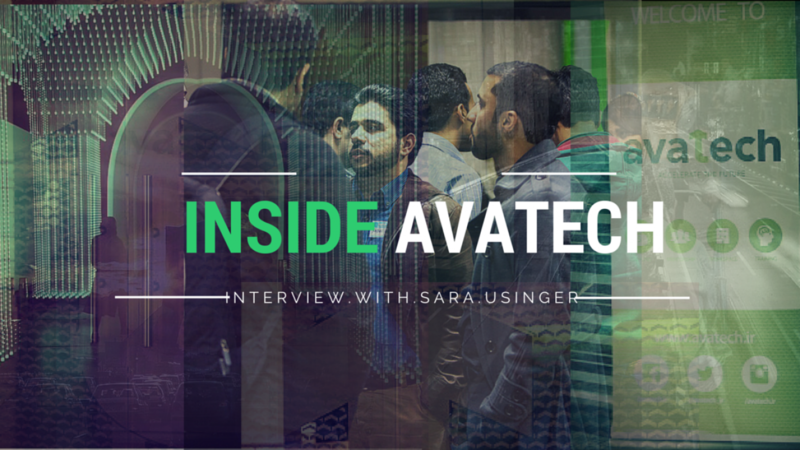 We sat down with her to get to know all about Avatech. Tell us about your background in Cologne, Germany and the journey that led you to become the program manager of Avatech in Iran. I started studying economics in Cologne in 2003 and pretty fast I entered a student organization called AIESEC that gives you the opportunity to do internships abroad in more than a hundred countries around the world. That’s how I got in touch with Iran the first time, because I was part of the team building up AIESEC Iran. I came to Iran, visiting the people and some months later I came back for an internship and stayed for 3 months. 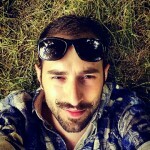 I went back to Germany, finished university and did an internship with a startup in Switzerland called Sandbox. That’s how I got in touch with entrepreneurship and startups and with with people starting new things, being a great inspiration and a great force in the economy. Also 2012, I started working at Startplatz in Cologne. The goal was to build up a startup hub which was a combination of a co-working space and an incubator. I was building up the community, taking care of the space, organising workshops, and in total I was pretty much doing all the things that Avatech is doing now but not combined into an accelerator. Thenone of my friends in Cologne went to Iran with his father on a business trip, and he met Mohsen Malayeri, who introduced him to the whole startup scene in Iran. When he came back to Germany he told me all about it, and about this great guy starting this accelerator in Iran. I was really interested in it so I was introduced. That’s how I got talking to Mohsen and that’s basically how I came here. Of course you weren’t there from the beginning but you arrived at a good time and you’ve been let in on the back story of when the thought of starting an accelerator in Iran sparked in the mind. How was Avatech born? Mohsen Malayeri started thinking about it around two years ago but he realized back then we don’t have the ecosystem here in Iran yet, and don’t have enough startups to run an accelerator with promising scalable startups. That was what we were looking for; startups who are doing business already and had revenues already, and who are ready to scale after the six month program. As far as I know, Mohsen and all the people he was talking to decided that they should start in a community building level before running an accelerator. 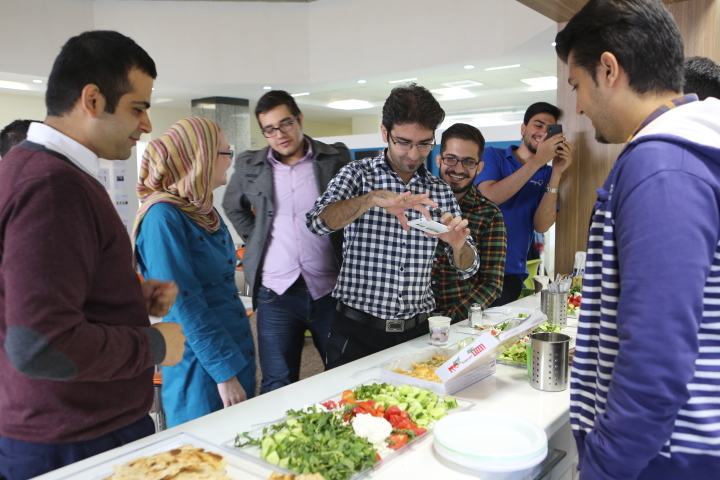 So they started with building up the community by organising startup weekends by bringing meetups like Hamfekr and Iran Startups to Iran to start to create awareness about all these entrepreneurial topics. So correct me if I’m wrong but initially to get to the point for Mohsen Malayeri to start Avatech, he and other community leaders first actually had to make the community and encourage other people to start working on their ideas and form their teams? Yes! Because we believe people start from community building events like Startup Weekend where they first get in touch with what it means to actually run a startup. You would need some experience before you apply to an accelerator. An accelerator is not a community event so we needed the space of high-quality community events likes Seeds Stars and things like that to build a community first and to have an ecosystem to get started. We needed a really big base of people interested in building up their startup and they are our funnel to get applications for Avatech, we then create the bridge between this ecosystem of people interested in startups and incubators. We are in the middle of the community and incubators so we are getting them ready to get into incubators and larger investment. Enjoying This Interview? Keep Up And Never Miss A Beat With More Like This Straight To Your Inbox! Tell us about the stage by stage mechanism of how Avatech works from the beginning where the teams come in, all the way to investment at the end. The teams normally apply and we select twenty teams for a two month pre-acceleration phase where we offer them workspace and mentorship with around fifty to sixty international and local mentors. They get workshops and training. We are providing them with workshops on topics like how to create a lean canvas, how to define their business model, how to figure out the metrics they should measure and how to create an MVP (minimal viable product). We are actually adapting these trainings to the needs of the teams, so we are quite flexible. If we figure out they need more training we will ask international and local mentors to help out. We have weekly pitch sessions where they practice their pitches and get feedback. We help them to get ready to present to investors and after two months there is a selection day where we will select 10 teams to formally join the acceleration phase. They get funding at this stage. They get 25 million Toman for 15% of the company which means they are still independent. We have a share of the company but we are not involved in business decisions. It’s still their start up. After the four months all of the teams will present to around hundred investors. The goal is to have the teams at a level where they can scale and get investment from investors as well. I heard there were about 100 applicants for Avatech with just one and a half months notice. Is this right? Yes this is true. For six weeks of advertisement I think that is pretty good. You can have the best idea but if you have a bad team, then nothing will happen. Obviously there were many talented teams among these 100 teams. How do you guys actually manage to narrow these teams down to 40 and ultimately to 20 teams and what specifications were you looking for in handpicking the teams? Personally, I think mostly the team. Having a team that consists of a tech person, a business person, and if they make us believe they would be able to manage this. Because you can have the best idea but if you have a bad team, then nothing will happen. We are ready for teams who pivot. This is why we have a pre-accelerator phase. The teams have to be focused. If they figure out that their ideas aren’t working, it’s completely fine and they can switch the idea. This only works with a good team. We are also searching for scalable ideas. This was also one of the criteria, and of course ideas that interested us. We also preferred teams who already created some revenues. Teams that already tested their product, have customers, so on a smaller level they know how the business runs and they know that it is running, which is easier for us to validate. So if a team doesn’t have revenue yet and perhaps are still in the very beginning phases of the idea & research, they are still able to get in Avatech’s acceleration program? Yes. But they have to work even harder to prove themselves and to prove that their business model is running, because there are teams who have been building communities since one and a half years ago that have much more experience in their business. But these teams are very eager to work hard at the moment. How do you guys do the big task of selecting the teams? Who has the big responsibility of picking the teams and narrowing them down to 10? We will have a selection committee consisting of angel investors, mentors and advisory board members who will select the top 10 teams with us. Is the reason that only 10 teams remain because Avatech has resources for only 10 teams or is it just because you can give a higher quality service to the teams if there are only 10? We have funds to select 10 teams. Having only 10 teams also gives us much more resources for each team. 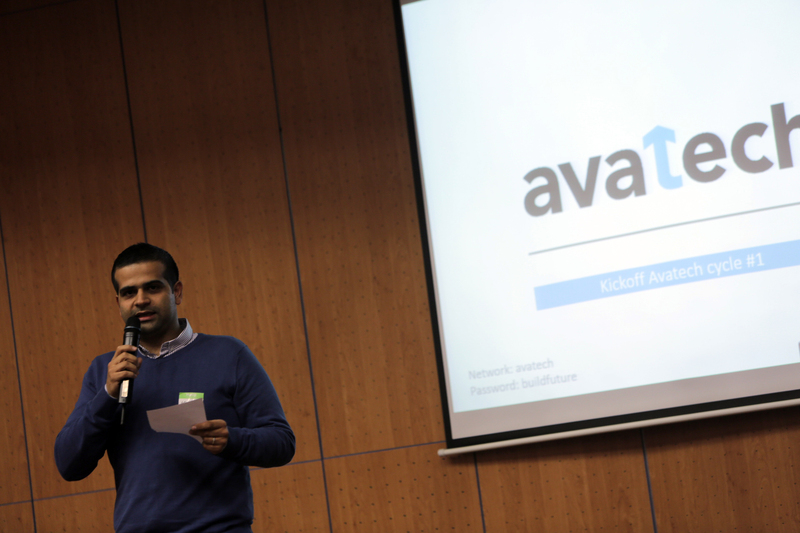 The seed funding that Avatech is providing for the 10 teams is equivalent to $8000. For many people outside Iran, this amount seems like a very low amount. What are your thoughts on this? I’m obviously not Iranian, for me it’s still hard to validate. But I have talked to many people and they say it is quite fair for such a young market. You always have to keep in mind that you can do much more with $8000 in Iran than in an European country and in the US. In the US I think they get $100,000 for the same percentage (equity). It’s a big risk as well, because it’s an early investment in an early-stage start up. 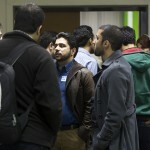 Evidently Avatech knows the importance of mentorship in Iran. My question is how does the concept of mentorship work in Avatech and can you tell us more about the mentors themselves? At the moment I think we have around 50 mentors, and we have many great people from Iran, like Hamid and Saeed from Digikala, Hesam Armandehi from Cadebazar, Nazanin Daneshvar from Takhfifan and Sina Sohangir who just came back from the US and is starting his company in Iran. So we have local mentors who are successful entrepreneurs here and we have got lots of international mentors because we believe it helps to give a global perspective. We are always searching for people who have ideally an Iranian background so they know the Iranian market and its special needs and special restrictions of the Iranian market and the Iranian society. We are still searching and adding people because we believe you can never have enough mentors because everybody has different expertise and experiences. There are 50 mentors for 20 teams which are going to be narrowed down to 10. This is an impressive number. 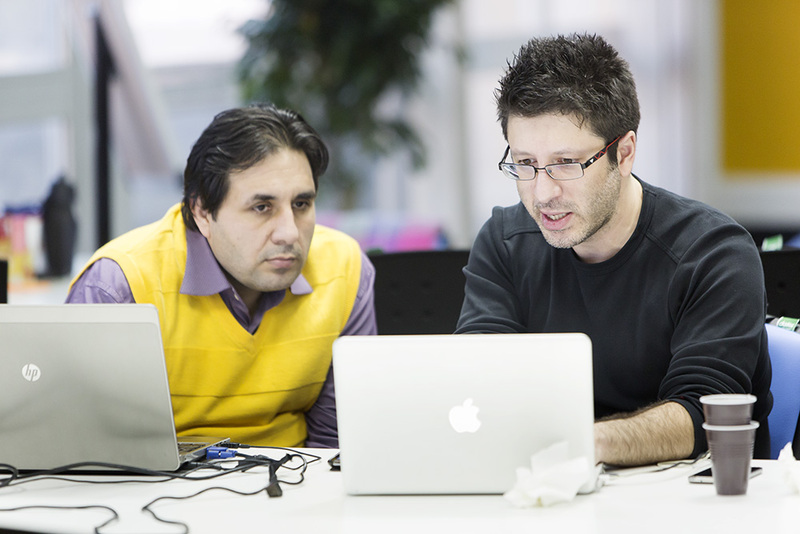 How did you find and contact these mentors and got them involved in Avatech? Mohsen did a hell of a job doing it. I can only explain it from my perspective. Because when it was clear that I was coming here, I started talking to people in Cologne and in Germany. All the Iranian-Germans and Iranians living in Germany were really interested in supporting Iranians in Iran because they wanted to share their experience. They wanted to share what they are doing in Germany and give something back to their country as well. There was no convincing. I was telling them ‘hey we are doing this’ and they said where do we sign up? Did the mentors contact you or were you the ones approaching first? I think mostly the first contact was always from us but they were easy to convince to support. We are keeping it very flexible for the mentors. Some of them are offering regular office hours via Skype or if they are here (Iran), in our office. Some of them are on demand so if a team wants to speak to them, I would just connect them and they set up a Skype session. We’re trying to adapt to the schedule to make it easy for them to support us. But they are really easy-going so it’s really easy to get appointments with them and they’re really helpful and supportive. What are the other key features you look for in the mentors when you want to add them to the group? Of course it’s the entrepreneurial experience. For non Iranian mentors; openness and intercultural competence to figure out what works in Iran and what doesn’t. We love people who have specific knowledge in one topic. We have mentors who have sold companies for a lot of money so they went through the process already so they can share what they have learned. 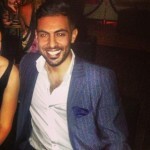 We have people that have good connections as well who can help connect people further. Also having openness to support people and willingness to listen to people and to help them to figure out their way. Of course we like technical people who have some very deep knowledge in some technical issues or experience in such things as customer acquisition, customer development or anything. It’s time consuming, so you have to get in the topics with teams and that are important, but experience is key. With the current teams we see some of the them are aiming to target not only the local Iranian market but also the global market. This could have a very good reputation for Iran itself. How do you see the future of these start ups targeting the international market and what does it take to scale them up and train them into stepping in to the international market? I think we have four or five teams that are targeting the global market. We also have some teams that are focusing on Iran first, but trying to expand to Afghanistan and Tajikistan in the future, where they also speak Farsi, and also maybe the MENA region. That is also why it’s very important to have international mentors as well. We have people in the US and Europe who know the US and European market who can advise the teams especially those targeting the international market, on how to start in Germany, Austria, US, Canada and other countries. It’s not only about how to do business, but how Germany or US is doing business because it’s completely different from the Iranian way. I think that’s why these international mentors with an Iranian background especially, are very important, because they have big networks and can help the teams in many ways. 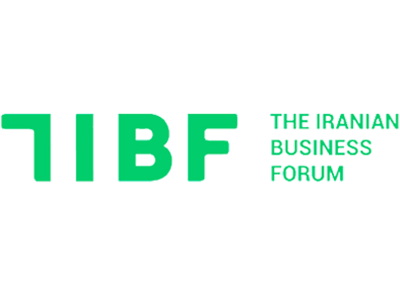 We also want to send the teams to international start up conferences so they get to know the European start up scene, and they will have an opportunity to get to know more about the the Iranian start up scene as well. We are aware that 90% of all startups fail… What I believe is Iran is a bit different in this field, because in Germany or in the US you have much more competition than in Iran. Most of the teams are the first in their field so it might be a little bit easier for them to get successful… That is why I believe if the teams are committed they can succeed. What are the strengths and weaknesses of the teams right now in the current phase? All of the teams are working really hard. What I really like about them is how serious they are taking it. They are really eager to test everything because most of them started with a running business so they had something already, but we really challenged them to check everything. That’s basically what we spent our last few weeks doing. Trying to figure out with them which target markets they want to focus on first. We believe you shouldn’t target everybody between fourteen – fifty in Iran and the world, but rather you should find out which part of the market or segment has the biggest problem and where you can help the most. You should start from that and scale from there. That is what we try to help them with, to figure out where they actually stand right now and how they want to continue and how they want to make money. We are helping them to train their pitches, which is really important as well. What I really like, which they have started doing right now is helping each other. So one would realise that they’re really good at pitching and someone else is a very good developer but his pitching isn’t good yet, so they arrange a time and help each other to train their pitches. What I also like is they start asking for help. Someone comes up and says: can you help us with our pitch, we know our pitch isn’t good, so how can be improve? And that is what I really like that they are helping each other and that they’re offering sessions to make peer-to-peer coaching now. You mentioned the co-working space. How is it it? What thoughts have gone in to making and designing the place? 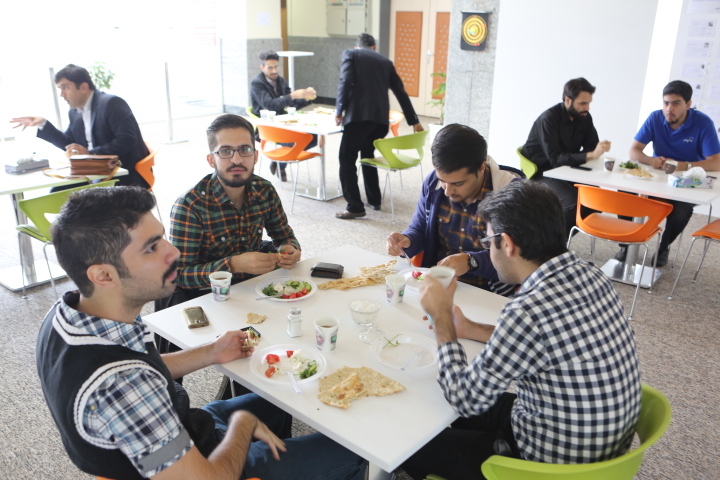 We are now located in the middle of Tehran University, on campus. We had the opportunity to go to other buildings and out of the university, but we wanted somewhere in the city, easy to reach for people. Lots of young people are studying at the university and lots of young people should start startups in our opinion, so it’s a good place to start and to connect with students. For our teams it’s much easier to reach their potential customers because they can go out to the campus and ask people what they are thinking about. We have 600 m² of space. It’s divided in 4 different sections. We one workshop room, where we have the weekly sessions, weekly pitches and workshops. We will be having more sessions in the future because we want to engage more mentors as well as facilitating more workshops on more specific topics. The amphitheater, which we are sharing with university, can host up to 100 people where we will be hosting events like October’s Hamfekr networking event and meeting with the startup weekend organizers and Hamfekr together. We have the opportunity to host even bigger events. The heart of every thing is our café area and our working space. The working space is around 200 m² where all the teams have their desks and where they work in. And here we have lockers, library, meeting rooms and we a have cozy areas with bean bags and we will get sofas as well. We are adding more flip charts and whiteboards. So this is a space where teams work, concentrate and where it’s quiet most of the time. 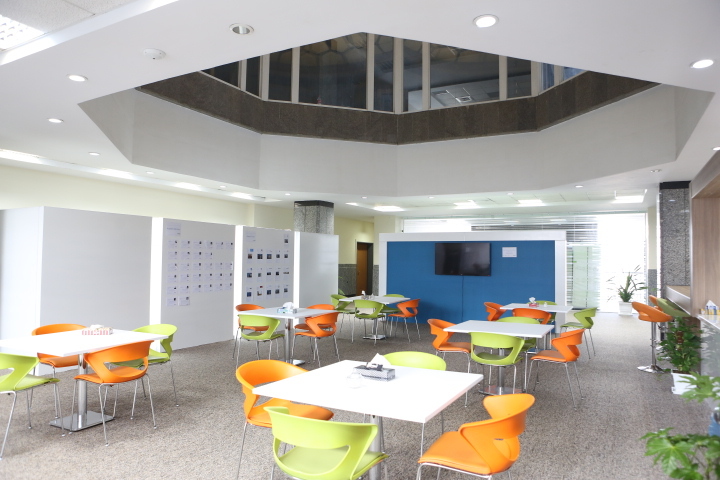 And we have this café area where we have coffee machines and snacks and tea with lots of space where people can sit down to discuss and meet up with different people, teams and mentors. So we divided everything into this community space where it’s more about talking and interacting with each other and the office space where they can work. This is something I learned during the last two years. Building up Startplatz in Germany helped me a lot to learn what works and what doesn’t, and I’m trying to implement them all here to make a good and nice place to work for everybody. This could be a direct. 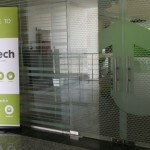 Is Avatech worried if some of the teams might fail to reach the milestones or the revenues they wanted to achieve? We are aware that 90% of all startups fail. We are not worried. We are giving our best to give the infrastructure they need to not only not fail but also to get successful. What I believe is Iran is a bit different in this field, because in Germany or in the US you have much more competition than in Iran. Most of the teams are the first in their field so it might be a little bit easier for them to get successful. Of course they still have to run a good business and provide value for their customers, but they are not in very big competition, where they either have to spend a lot of money on advertising to get more market share, or to focus on something risky to provide more value. That is why I believe if the teams are committed they can succeed. 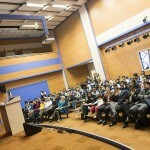 Tell us about Avatech’s final demo day where the teams 6 month efforts will be presented to the investors. This day is what we will be working towards for six months. At the end we will have the big day, where our ten selected teams will have time to pitch and hopefully they will make good deals afterwards. Our goal is to help them to get to a stage where they are able to scale, because you shouldn’t raise funds too early. Our other goal is to bring the best possible investors.We are not only trying to make an ecosystem for the startups but for investors as well. We are selecting the investors who will attend this demo day in order to have people who are not only interested to see what the startups are doing, but who know what it means to invest in a startup. It doesn’t work in a way that you invest money and some months later you’re getting millions out, but it’s rather a longer journey normally. We want them to make fair deals for both parties. Most likely we will host an event called AngelLab, which is a case study for people who are interested in investing in startups. They well get a one day workshop to see what it actually means to invest in a startup. 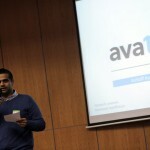 What are the main difficulties Avatech is facing right now? At the moment I feel very good about it and I’m very optimistic. We are working very hard of course. We would like to talk to every team, everyday which is obviously impossible, but we are giving our best. We will see. At the moment everything looks very good, but by looking back later on we will see where we can improve and what we have to do to make it even better for the next round. 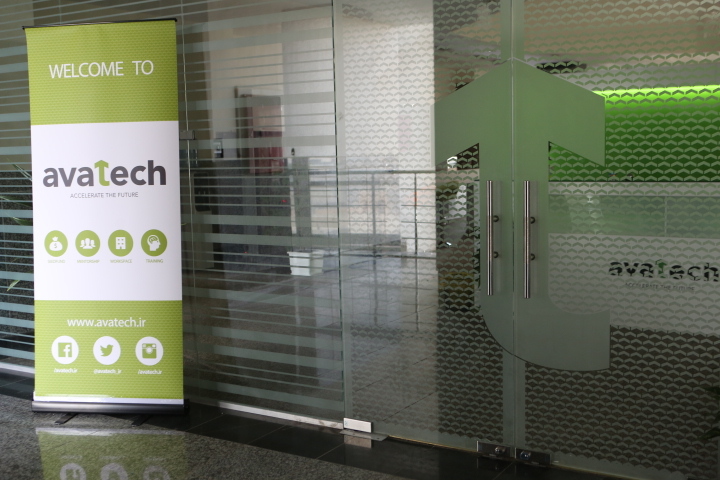 Avatech is just getting started and it has gotten a lot of attention. 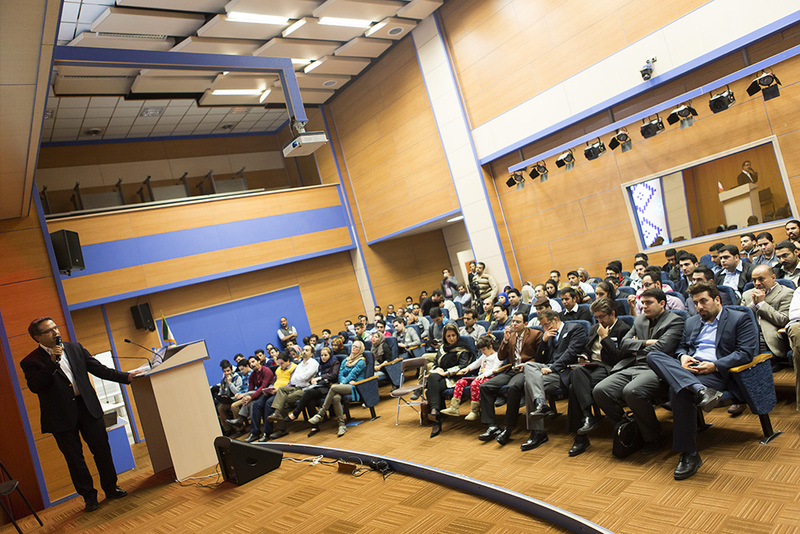 How does Avatech see its future and what are its visions? We are not stopping here. We are just getting started. What we are aiming to do is to have ten cycles completed after three years. The first three cycles are single cycles. We want to expand with the fourth cycle. When we are in the middle of the first batch we will start opening applications. Two weeks after the big demo, the next batch will start. That means twice a year, we will let out two cycles of ten teams each year. The goal is to scale it. Not only two cycles each year but up to five or six, which means we would like to open more locations. It will not be in the same place. We will either we will go to other cities or we will be more specific like startup bootcamp, and have a mobile or health related accelerator. Maybe we will open one for online gaming or health related startups in tech. Of course we want to improve what we are doing. I personally want each application circle or each batch applying for Avatech to be better than the one before. 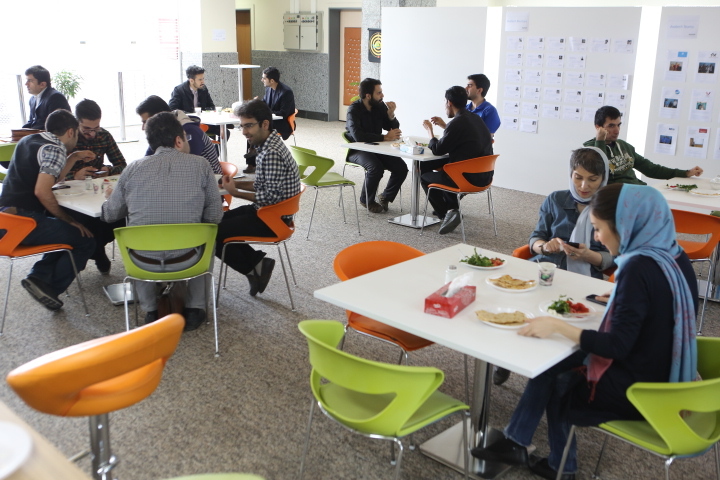 Avatech is not just an accelerator program, it’s actually influencing the startup community in many ways such as the workshops for the public and co-working space you mentioned. 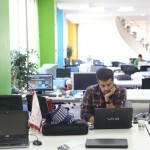 In your opinion how much is Avatech going to do more for the community in the future? It’s hard for me to say how much we influence the community right now, because I’ve only been in Iran for four months now. I’m still learning a lot and I’m getting to know a lot more. 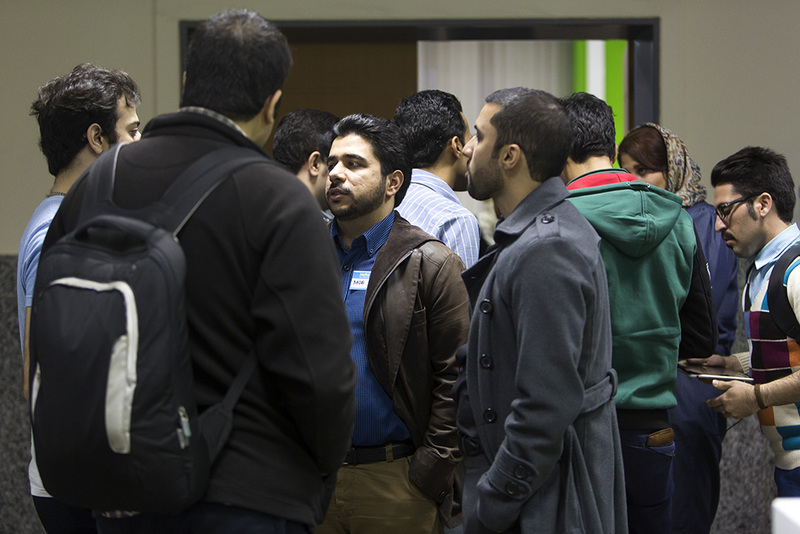 In the best case we are providing a space where people can meet, like the Hamfekr networking event we held in our office, and also for other startup event organizers. 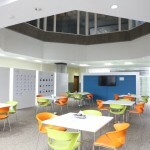 So it is a community space that is open for not only our teams but also for guests and people who are also interested. I think there have been activities for more than ten years, but now I think it has gotten to the point, where the international communities are recognising that there are startups in Iran. You obviously have a different perspective being from a different startup scene with different a community. 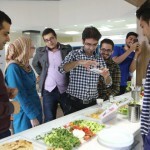 With this different point of view, what do you think about Iran’s overall tech community? Hi Amir, Thanks for the vibes! I hope this site always lives to your expectations and that you continue to rise to your aspirations!